Substantial Glenbrooke Woods home designed to maximize the function & pleasure of each room! 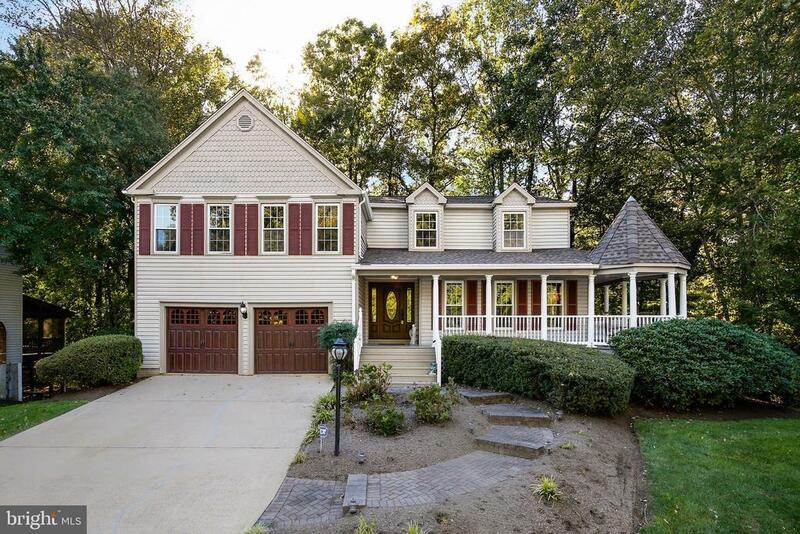 Wrap-around porch & solid mahogany front door greet visitors! Flowing floorplan is perfect for daily living & entertaining with formal Living & Dining Rooms. True gourmet Kitchen features granite counters, soft-close maple cabinetry, Chefs sink & brick archway above cooktop! Family Room provides direct access to two-level deck overlooking peaceful wooded lot. Four oversized Bedrooms on upper level. Stunning Master Bath offers steam shower, Jacuzzi Pure Air Spa Tub, Travertine counters & more! Expansive walk-in closet! Expanded lower level with Rec Room, loft Bedroom & full Bath! Fantastic location near all modern conveniences! Directions: Fairfax Co Parkway to east on West Ox Rd; Left on Timber Wood Way to #2946 on Left.